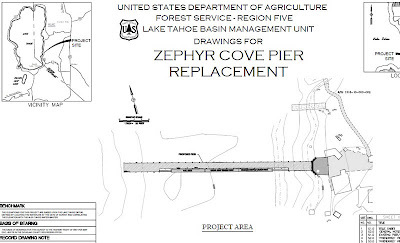 The U.S. Forest Service Lake Tahoe Basin Management Unit is proposing the replacement of the decades old pier at Zephyr Cove. The pier is in need of replacement to meet current health and safety and building codes. The pier is used by the Tahoe Queen and MS Dixie for scenic cruises. The pier is currently 358 feet long by 18 feet wide. 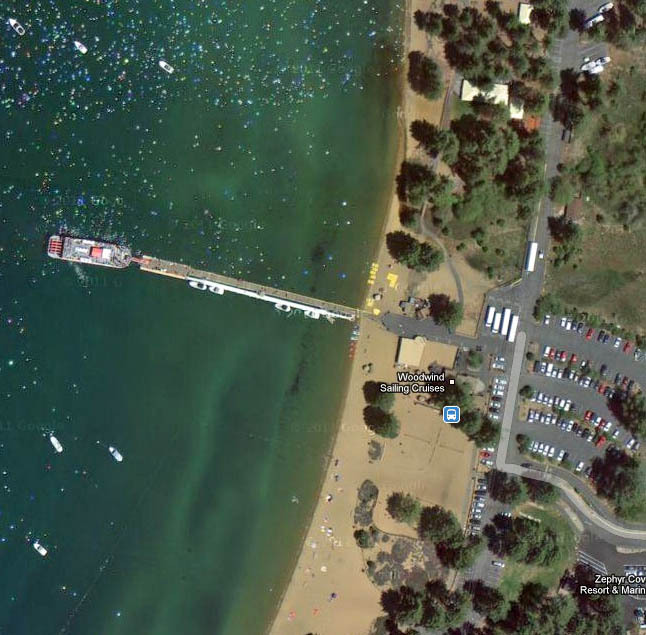 The proposal is to replace the pier the same size. The fueling dock would be re-used and would be connected to the new pier by gangways. The abutment that anchors the pier to shore would also be replaced. Work on the pier could begin as early as this fall and would take several months to complete. The plan is to complete the pier during fall/winter months to minimize the impact to residents and visitors. Comments are requested by the Lake Tahoe Basin Management Unit by August 3, 2012. Contact Matt Dickinson at 530-543-2769. 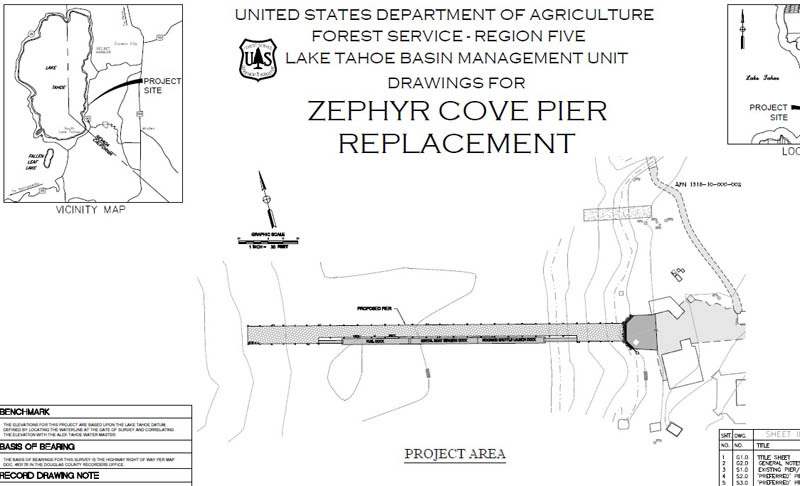 For additional information see the U.S. Forest Service pier replacement page.